When is the Best Time to Have a Baby? When is the right – and best – time to have a baby? From the time of year to the time of life, most everyone has an opinion. I see it crop up regularly; in the media, on blogs and forums, and amongst family and friends. I have partaken, I have listened and I have accepted that timing is, of course, the most vital thing. Not the everything-changing child itself you understand, the timing is what really matters. January: Everyone will spend your child’s birthday in a post-Christmas depression and their gifts will be battered sales toys from the bargain bin. March: Unless you take extended maternity leave, you risk returning to work right before Christmas. Son of a nutcracker, how depressing would that be? April: Child’s birthday might – at any point – be overshadowed by Easter Sunday or even worse, Good Friday. Damn you solar and lunar calendar issues. May: Exam season. Do you really want your child to spend their landmark 16th birthday in a drafty school hall with a racing heart and dry mouth? I’m still scarred from when it happened to me. I think it happened anyway; perhaps like many victims of trauma, I blocked it out. June: It will rain at the outdoor birthday party you plan, because it’s Britain, and that’s what happens in June. And if it doesn’t, hay fever will strike instead causing a sneeze fest all over the fairy cakes. July: A birthday! In the school holidays! What are you thinking? Do you actually desire a pathetic turn-out for your child’s party? Come on now. August: Your child will be the youngest in the school. This is really terrible, err, apparently. They will have a massive eleven years to even out with their taller counterparts but you should be mindful and extra anxious regardless. September: As the oldest in the school, expectations on your child to be a genius will be overwhelming. Also, an extra year at home with them? Bit much really. October: Two words: Halloween curse. You must consider every eventuality. November: Too rainy a month to bring a baby into the world. Oh, and all the good birthday cards have been replaced with glittery Christmas junk in the shops. December: They’ll never get a look-in next to Jesus. Or all the frivolity, merriment and tinsel. Plus, you risk going into labour before you’ve had chance to finish your turkey. Big picture. So now that you’re clued up on that front, the other thing to tackle is when is the best time in life to have a baby? Get those reflecting caps on and face inwards – it’s time to take a good look at yourself. Don’t have children too young – you need to experience many years of drinking and irresponsible behaviour in order to be a good parent. Don’t have children when older because you won’t have enough energy for, well, any of it. Don’t wait until you’ve ticked the settled down, happy ever after box to have children; you might have gammy eggs. These are entirely different from gammon and eggs. Act now! Don’t have children if you’re single. Remember your eggs might not be gammy and of course, everyone should be in a relationship, right? Independence is so passé. Don’t have children unless you are in peak physical health (a baby taking over both your body and entire life will not mess then this up, I promise). Don’t have a baby before you are in possession of a marriage certificate and an over-sized photo of you rocking old, new, borrowed and blue. It is definitely relevant to your parenting and the alternate just isn’t acceptable. Don’t have children unless you are in the money. You can’t parent children with low material status as they require twenty pound notes for comforters and silver spoons for their puree. So the best time to have a baby? It would seem there is no easy answer. So you could just not. Or, perhaps less dramatically, you could combine the right time for you with the universe granting it. * Because there are actually much more important things than trying to plan for perfect. Family life is what you make it, and all the more special for its realities and imperfections. *Failing that, there will always be some random in the supermarket declaring when it is correct to become impregnated. You should definitely take the advice of the nosy stranger. Where was this post 6 years ago when we first started talking about when we would try for a baby?! I was so clueless! So much I didn’t consider! Ha! Yes I haven’t given favourable options really – but two is definitely a good idea – hedge your bets! I hope you have a lovely January birthday, for what its worth, we are out for a friend’s birthday this weekend and all very excited to get together and do something non-christmassy! Made me laugh. As an infertile, I can tell you there was no right time to have a baby… But I’m glad we tried relatively early or else I might never have found out it was going to be difficult until it was too late. As a fellow infertile I completely agree! It makes me laugh looking back as I did ponder a lot of the silly month stuff initially. Not enough to affect when we started trying but I soon realised of course that any time a baby arrives is the right and most perfectly magical time! It’s funny how many coincidences there are with birthday / birth dates – so many days in a year yet they often fall together! 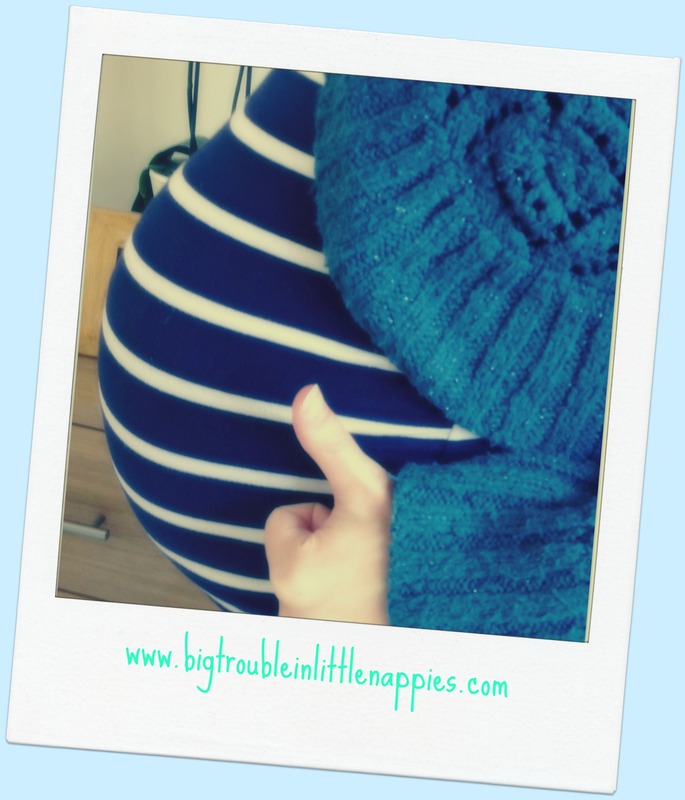 My son was due on my birthday, which I thought was lovely but others seemed horrified! I felt that by now, I was quite okay with sharing 😉 As it was he was a little late so we have a two day gap – I get rather overshadowed now but love him too much to mind! Oh Nooo! How scary that must have been (for you – though yes for the taxi driver too!) I hope your partner made it in time – definitely an important thing to note with regards to timing!! Love love love this post – absolutely brilliant! I am completely guilty of the no baby on August and myself have a intelligent September baby lol!! But heck, he’s costing me an extra year of nursery fees!! Of course, extra nursery fees – that’s the downside to raising a genius 😉 Two of my friends successfully planned September babies, for both to arrive early – in August!! Blimey that must have been really complicated and can totally see why you would need to do some serious planning and maths! Glad it all worked out – I’d never even thought of that scenario – you must have been praying not to go into labour early with Sophie! FYI: I was born in April and LOVE when my birthday falls on Easter Weekend – FOUR DAYS OFF! !